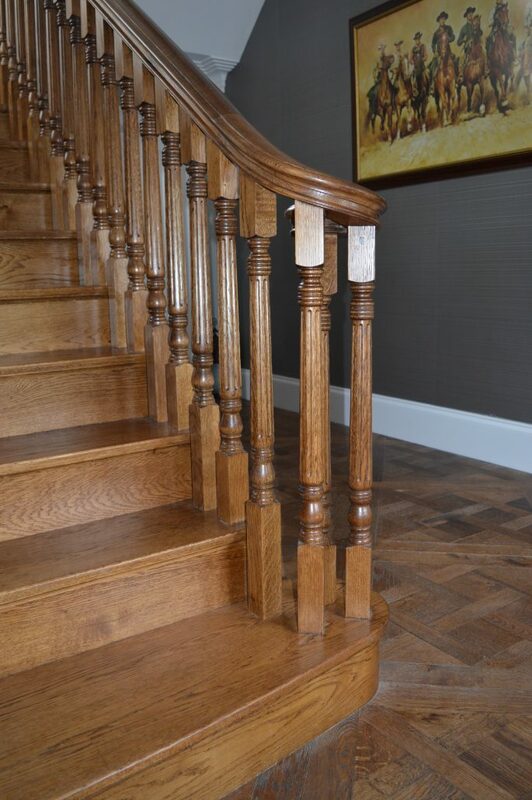 Working for a private client in the beautiful part of Scotland that is Gleneagles, famed for it’s world class golf course. 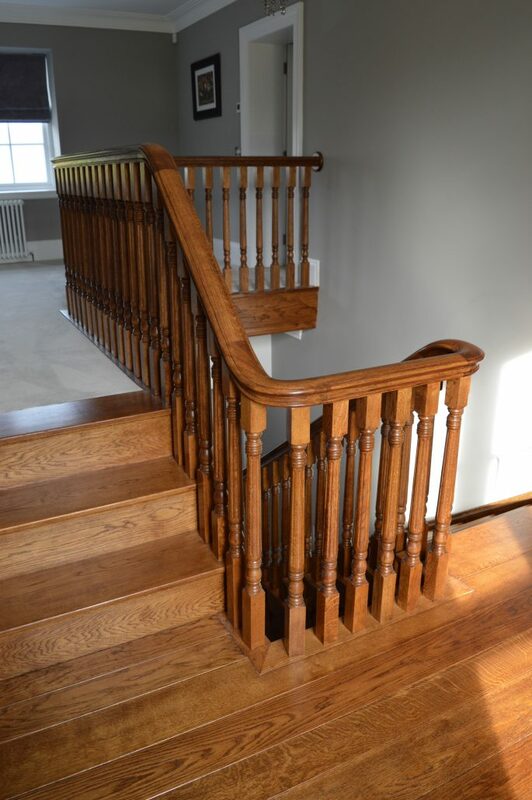 Our manufacture and install teams were put to the test to make a cast concrete staircase look like a traditional, timeless oak staircase. 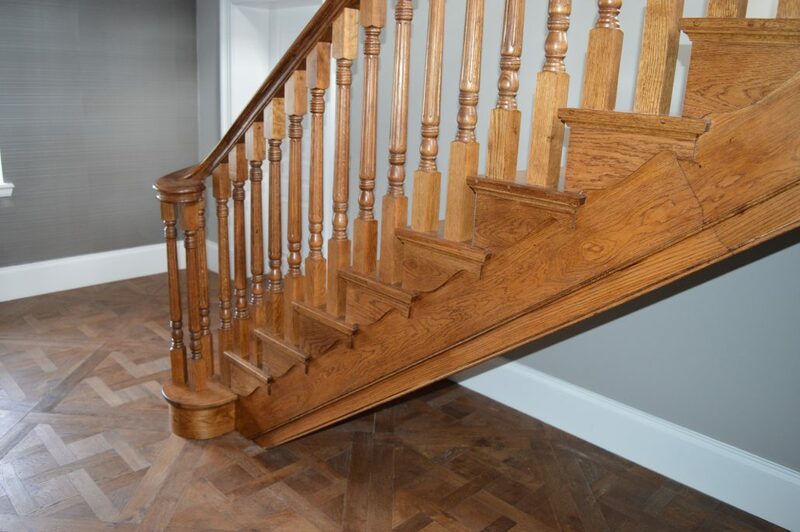 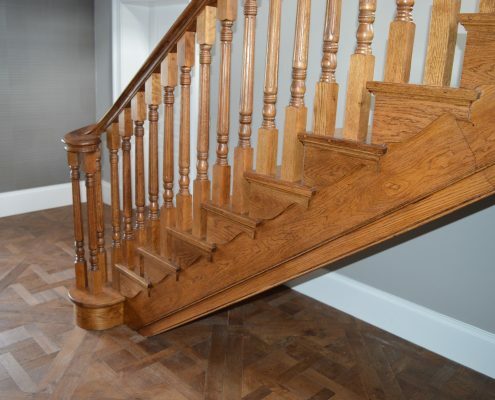 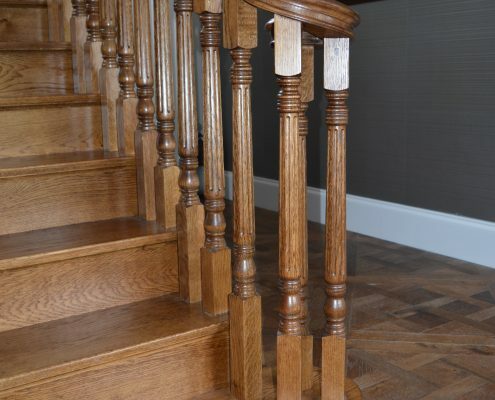 Having surveyed the stairs, we were able to create an interactive 3D model of our proposal – cladding the stairs with prime grade European Oak – treads, risers, stringers and decorative brackets – we even fitted the flooring on the half landing. 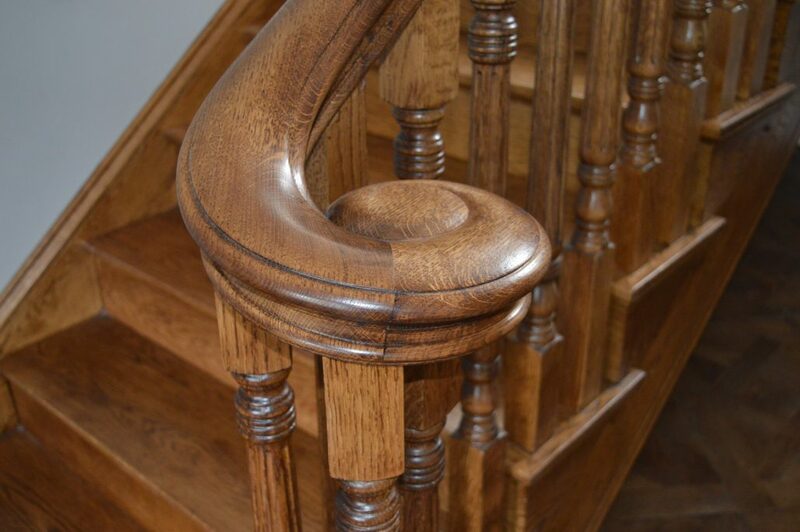 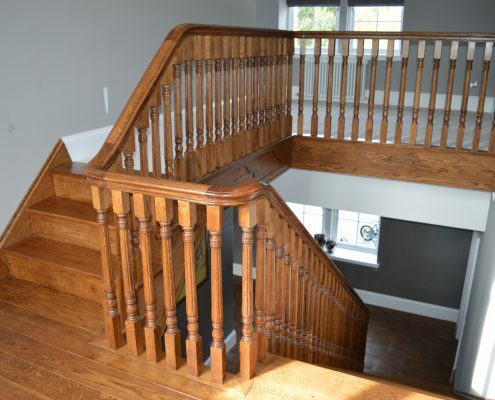 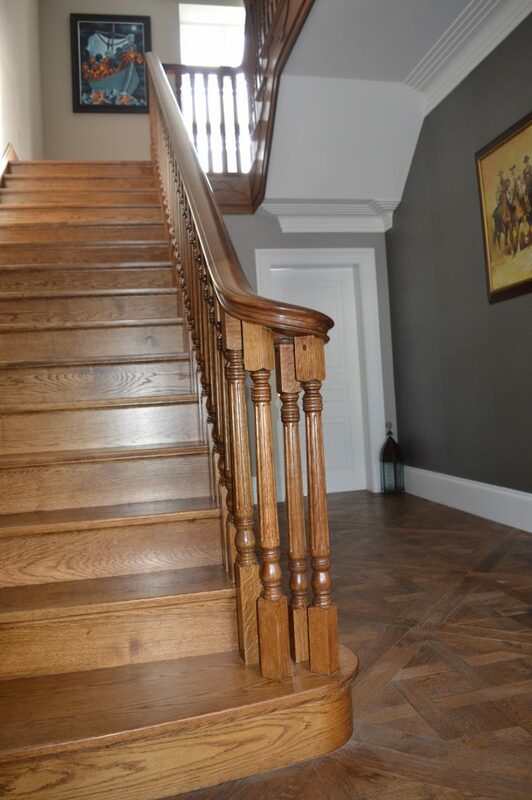 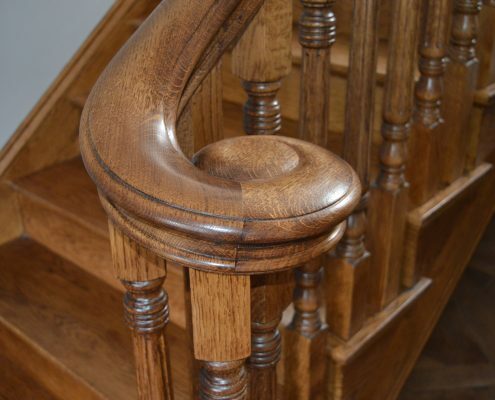 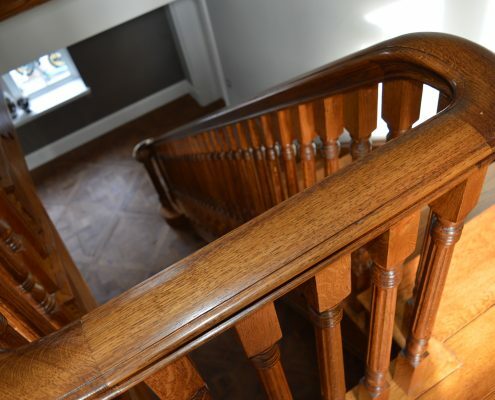 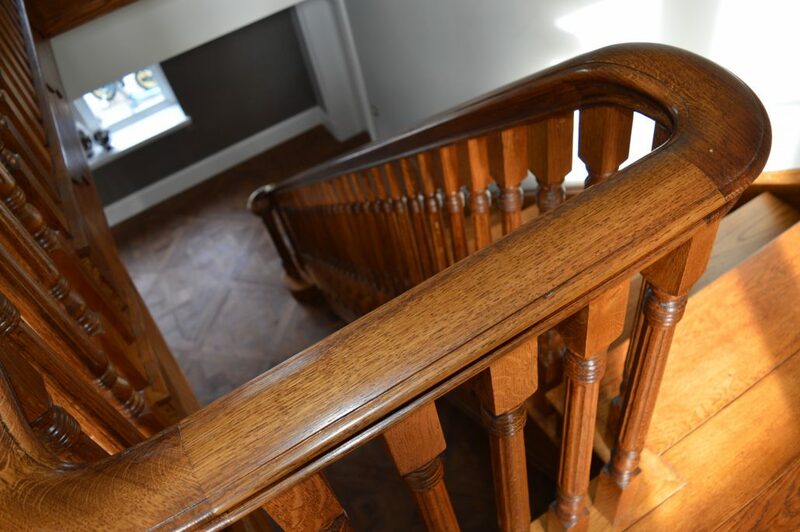 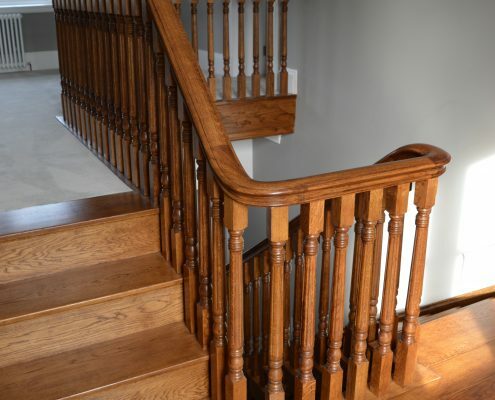 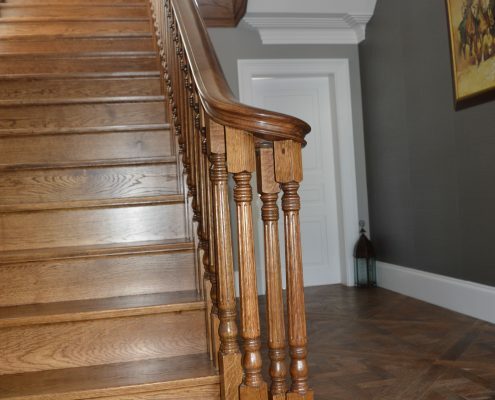 We then installed the traditional turned spindles and chunky handrail, much to the client’s delight and all in a matter of weeks, not months. 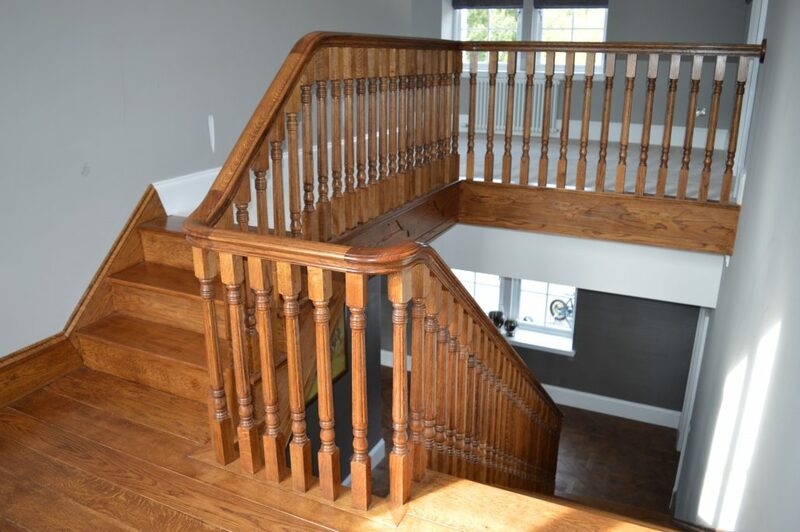 This goes to show not just the ability of our software and technology, but our dedicated manufacture and install teams, travelling throughout the UK.